OHA works with grantees to provide housing, develop economic self-sufficiency, increase opportunities to engage in cultural activities, improve health and well-being, and more. OHA Grantees help serve our beneficiaries and benefits the community as a whole. OHA grants and sponsorships help advance OHA’s strategic priorities and results in culture, education, economic self-sufficiency, housing, health, governance, land and water. Interested in seeing a list of nonprofits, community programs and events funded through OHA’s grants and sponsorships that promote the well-being of our community? Click here for a searchable spreadsheet of OHA Grantee and Sponsorships from 2013 to 2016. Additionally, each year OHA shares its list of grantees and sponsorships in its Annual Reports. Learn more about the work being accomplished through OHA Grants that helps to improve the lives of Native Hawaiians in the video stories below. Hawaiian Community Assets is an award-winning housing program that helps Hawaiians with financial literacy counseling with the end goal of securing stable housing. This OHA Grantee has helped more than 770 ʻohana statewide. Studies have found that stable housing is one of the key factors for building economic stability and self-sufficiency. 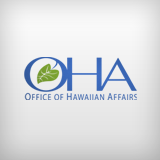 In addition to grant funding housing programs, in 2008 OHA began a 30 year commitment to provide $3 million annually to the Department of Hawaiian Home Lands to help build affordable housing for Hawaiians. Learn more about OHA’s housing and economic self-sufficiency grants. Do you need help completing your GED, a vocational certificate or a college degree program? Would you like career advancement coaching and smart money management tips to help you and your ʻohana? If you live in Maui County the Hoʻokahua Waiwai program may be able to help you. The Hoʻokahua Waiwai program is housed at Maui College and its extension campuses in Hāna, Molokaʻi and Lānaʻi. Tuition assistance helps Hawaiians pursue vocational programs, such as automotive mechanics and nursing, offered at Maui College campuses. To get help reaching your full potential, apply today for the OHA grant funded Hoʻokahua Waiwai program. OHA is working with partners like After-School All-Stars to help Native Hawaiian students meet reading and math standards. Through an OHA grant, students at Waianae Intermediate School get free after school tutoring, mentoring and access to a variety of fun activities. A majority of the student body at Waiʻānae Intermediate attends the after school program run by OHA Grantee Afterschool All-Stars. It is achieving positive results! Hawaiian students in After-School All-Stars for at least 30 days, experienced a 9.7% increase in reading proficiency and a 23.9% increase in math proficiency. But these results are not limited to Waianae. OHA is helping to create this type of positive change through after school programs in 11 different communities throughout the pae ʻāina. Afterschool All-Stars runs programs for students in Waiʻānae and Nānākuli on Oʻahu, and Kaʻū, Keaʻau and Pāhoa on Hawaiʻi Island. While Boys and Girls Club of Maui, helps students at the Central Maui Clubhouse (located in Kahului), Haʻikū Clubhouse, Kahekili Terrace Clubhouse, Lahaina Clubhouse, Makawao Clubhouse and Paukūkalo Clubhouse. Kānehūnāmoku, a 29ft. double hull canoe, is a hands-on, dynamic, and living classroom for students of all ages. Students learn all aspects of the canoe, including maritime skills, non-instrumental navigation, elemental observations, teamwork and communication. This year, funding from OHA’s Grants Program went to Kānehūnāmoku Voyaging Academy’s farm, “He Waʻa He Moku, He Moku He Waʻa”. Here, students grow crops like kalo and ʻuala and also learn lessons that relate to their classroom curriculum. For more information on the programs offered by Kānehūnāmoku Voyaging Academy, visit: www.kanehunamoku.org/.